Cedarwood Essential Oils are a favorite choice among aromatherapists for their therapeutic nature. It can help with a variety of issues, everything from blemish-prone skin to respiratory issues to negative emotions. Not to mention, these delightfully woodsy oils are perfect for the cold winter months. Plant Therapy carries not one, but four different varieties of Cedarwood. Although there are many shared properties, including the fact that they are all KidSafe, each has its own unique benefits and subtle aroma. 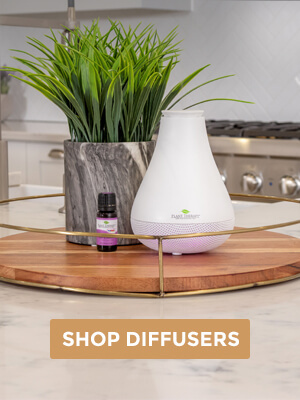 Before you get overwhelmed by the choices, we’re here to break down the differences in each one and help you decide which variety of this common essential oil is right for you. With a rich, woody, slightly sweet and spicy aroma, this oil is reminiscent of cedar lined chests that belonged to our grandparents. This variety is renowned for its therapeutic benefits. Create a calm, soothing environment by adding a few drops to your personal inhaler or favorite diffuser. You can even add a few drops to your shampoo for a healthy, flake-free scalp. This oil is very similar to Cedarwood Atlas both in aroma and benefits, except that its scent is a little bit sharper. It is also incredibly beneficial for emotional and respiratory support. Add it to your daily routine by applying a 0.5-1% dilution in a carrier oil or lotion to the face and then spritzing your face with one of your favorite hydrosols as a toner. Alternatively, you can add a 1% dilution directly to your hydrosol using an emulsifier like Polysorbate 20. Steam distilled from a Juniper Tree, Cedarwood Virginian has a medium, fresh woody scent. It is actually similar to a freshly sharpened pencil, only better (obviously). It’s a popular choice for men’s products and fragrances because of it’s outdoorsy aroma. Additionally, it is extremely useful in skincare products as it helps to balance oily skin and reduce the appearance of red or rough skin. Originating right here in the U.S., this variety is distinctive with it’s sweet, soft, balsamic wood scent. Diffuse this oil to help freshen a room and create an uplifting, calm atmosphere. It is also an excellent choice for immune support. I’ve been searching online for the differences between these, glad to find this. Anyone know which one would be best for flea/bug repellent? Is there any chance Plant Therapy will make a Cedarwood blend of all these types, like they have done with Fantastic Franks? Dana, that is a wonderful idea! While I’m not aware of something like that coming up in the near future, it may be a possibility later down the road 🙂 We love customer input and appreciate your suggestion! I am so thankful for this blog post! i wasn’t sure which Cedarwood to choose, but after reading this, I finally decided on Atlas and to acquire the others later (if, I mean, definitely when, needed)! Thank you for helping me choose! I love Cedarwood, I have all 4 that PT sells and use them regularly. Virginian works really well for coughs, just fyi! Wow a lot of info to ponder. I have narrowed it down to two choices but I still am not sure if I should get Atlas or Himalayan I may just get both and test it out for myself. Is there ever any information that I can’t find on your site?… NOPE… you cover everything!!! This is exactly what I was looking for and of course here it is, easy to find! Too bad the only thing different isn’t just the smells. I need a combo of all 4 to get the full therapeutic needs. I’ll need to buy all 4 versions. This. This is everything. Thank you for letting us know which to choose for what! This is so helpful as I was looking at the Cedarwood oils wondering which one I’d like to try. Wow thank you PT you never disappoint and I can find any information or EO right here on your website!! I only have Cedarwood Texas. I use it in my sleep blend sometimes and also in the shampoo for my husband and daughter. I honestly couldn’t imagine using any other Cedarwood. It smells amazing! So glad to have information all together to compare the different Cedarwood EOs. This will help so much in zoning in for our needs. Thanks! 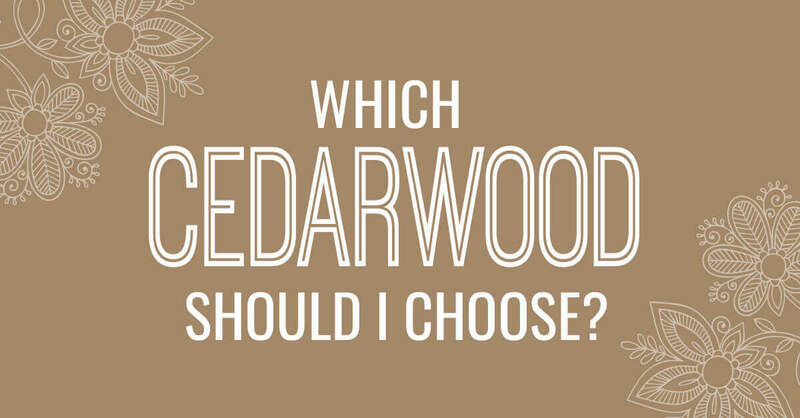 Which of the four Cedarwood is more suitable for bug spray? Lovely! Wishlist in the making! ❤️ Thank you! This is just what I was looking for! I was not certain which benefits came from each. So helpful! I used this today when trying to decide which one to buy, as Cedarwood has been on my list for awhile, but I never knew which one was best (well, really they all are great, but what would be the most beneficial to me right now). Thanks Plant Therapy! Peace and Quiet and Calmness is what I LOVE… That’s why I ordered the Organic Cedarwood Atlas. I also enjoy reading and learning about the uses of the different essential oils available. Thank You, Plant Therapy. I did not know there were so many different varieties. I was gien a sample of Cedarwood for my migraines but was not told which one. I will have to find out. I also just started to add 2 drops to my shampoo 1x a week as I have a minor dry scalp issue. Cedarwood is on my list for my next purchase but I wasn’t sure which one to get. Thank you for the comparison of the different types – it helps a lot! I wished I would of seen this blog first. I just bought 2 of the 4 Cederwood. If I would of seen it I would if just got the Cederwood atlas. As I want it for hair loss. This was very helpful. I have Himalayan, and I love the smell. I didn’t realize they were all so different in uses though! 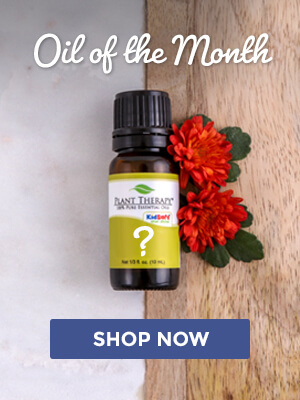 Thank you for your informative blog posts that compare oils similar in name alone! Thanks for this post! Turns out I’ve been using the wrong cedarwood for my needs. Very informative. Thanks for the great info. Cedarwood Atlas has been at the top of my ‘gonna get’ list for a while. Thank you so much for this post! It made me realize that Cedarwood Texas may help with the nonstop allergies my family is dealing with since moving to TX! Crossing fingers this will bring relief to my 17 year old son and husband, especially. Love the fantastic information! Have you been able to get any relief from your Texas allergies using the Cedarwood Texas? I read Cedarwood is one of ingredients for beard growth oil. I wonder which, based on this article it should be Cedarwood Atlas? Cedarwood oils are affordable to own. This is one great article!! Thank you so much for this! Would also love to have an article on different types of Frankincense oils. I only wanted one Cedarwood. I chose Himalayan. I love it. I am thankful for the posting of this article! 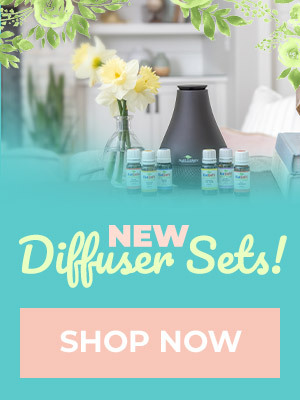 I am new to essential oils, and as I was trying to figure out which cedar wood I should purchase for some of my blends. I am mostly using oils so that I can minimize my stress and anxiety, so now I know that I should get the cedar wood virginian! I’ve read that Cedarwood is a great focus oil; which one would you recommend for that purpose? i love my himalayan cedarwood so much! Love Cedarwood Atlas! Did not like Virginian. Im curious to try the others. Based on this info I think I’ll try Himalayan next. Thank you! I have often wondered which one to get…so far I have Cedarwood Virginian…I am going to put Cedarwood Atlas on my wish list! Has anyone used cedar to keep the mosquitoes away? I also have struggled with picking which Cedarwood is right for me. So far I only have Atlas and I really love it for my hair and it also blends really nicely with a lot of different oils. I am about to run out so I was very excited to see this blog, now it will help me decide what to buy next. I just bought the Virginian Cedarwood yesterday! So excited to try it out. I was also hoping to find the cedar wood that would be closest to the drawers I used to keep my clothes in as a kid. So I think I will probably be getting Cedarwood Atlas too. Thanks for the article! I didn’t even realize there were so many different types! Thanks for the clarification! Thanks for the information. I didn’t realize that there is 4 types of Cedarwood. I have read that a combination of lavender and cederwood helps with restless legs. Which of the 4 cederwoods would be best for RLS? Thank for the information.. I found one new use for my Cedarwood Atlas! I am going to add it in my circulation blend to mellow the stronger scent of black pepper. I am going to try Cedarwood Texas in my next purchase. Can’t wait for your Christmas promotion. Thank you for this blog, it really is very helpful. I have Cedarwood Himalayan but now after reading this post I see that I need Cedarwood Texas also. Thank you! Cedarwood is one of those that often confuses me on which I should use when. This is my concern as well. Though it doesn’t trigger asthma for me, I am allergic to mountain cedar and end up with cedar fever regularly through the winter. I have put off purchasing Cedarwood Texas because I wonder if it will trigger my allergies. Curious to know too. My son has a cedar allergy. Thank you for this I fo. I thought they just have different names but same uses. Now I know what to get next time. Thank you for posting this!!! I’m always wondering what the differences between many different oils are. It would be so helpful to link this on product pages, or to have a little blip about the options listed. I’m always jumping between pages. Cedarwood is one of my favorites. This was helpful. Thank you. I was unsure which to use in a recipe, and this helps to use the correct one for the recipe. It is so nice to have all this information on one page. Switching from page to page trying to choose which one would be the best for me is so hard sometimes. Cedarwood Atlas has been at the top of my wishlist for a while. Thanks for the info! I love the smell of cedarwood. It reminds me of when my husband and I went on our honeymoon to Estes Park or the time we were in the forest of California. The woodsy smell is not something that you often get in Nebraska! I was just looking into the difference between the cedar wood oils and came across this post. Very helpful information. I ofcourse want them all, hahaha. Thank you for this! I really appreciate the compare and contrast for an oil with different varietals – it is so convenient!